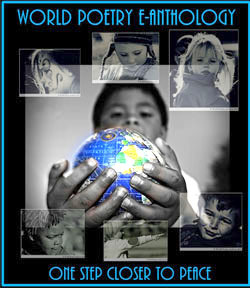 * World Poetry Celebrates!World Poetry Celebrates! This is great! All kinds of events can go on it. Thank you. Tons of wonderful events! I think our “New West Night Out: Come as Your Favourite Poet” will be awesome! Can’t wait! You’re so full of Ideas, Ariadne! Hello, again — just printed the membership form and will mail in my cheque. Question — do we get reminders — I sometimes pay at W.P. and lose track of when due. Is there a certain time of year? Hope to see you on May 23 — at N.W. Library— 6:30 pm– right? Is that line up set!! Question: when I click on my name Bernice Lever — My site is not there–NOT called a Press Site blog–but just http://www.colourofwords.com — as NOT a blog. Question from my postings over the year –do I need to add more or ONE to the Day long reading on Sept. 21— or not? Do poets need to join to add into that reading — or not? I could ad a note to encourage more poets worldwide –if free — I have many Facebook names! Will check with Peter re membership. When I have a time I will check the blog roll. Will send you the invitation to participate packet soon. Thank you. It is a link to your site. FB calls it a blog roll. Registration form is on site in the pinned post. Will send you the short post so that you can send off. Thank you!